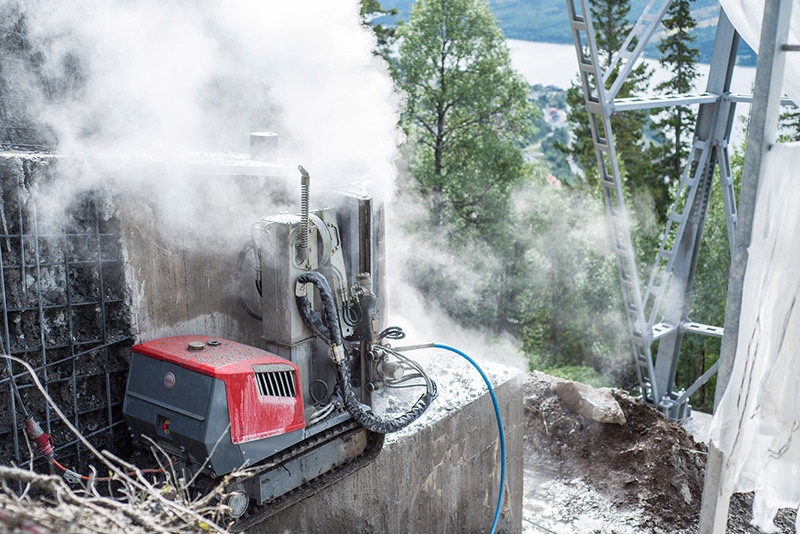 Specialist Swedish contractor Corvara is using an Aqua Cutter 410A remote controlled robot to remove decayed concrete from pylon foundations. 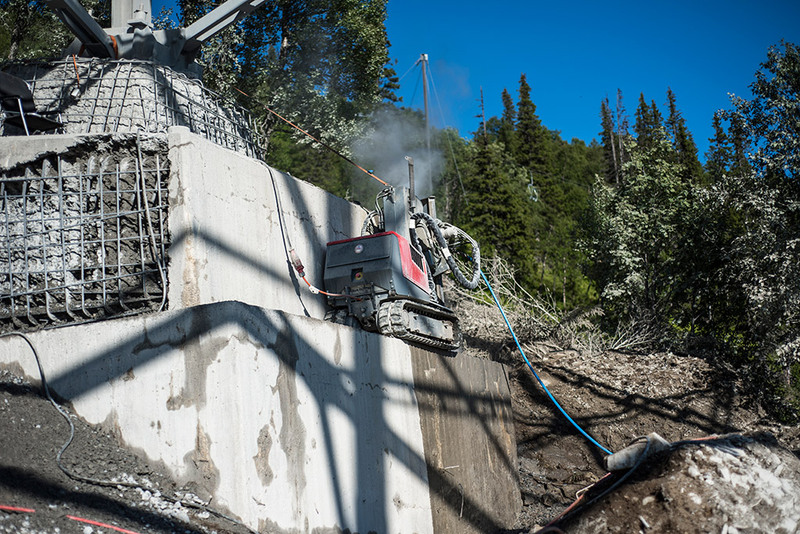 An Aquajet hydrodemolition robot is being used on the pylon foundations in the Swedish ski resort of Åre to cut away decayed concrete on the massive blocks and allow replacement concrete to be laid. 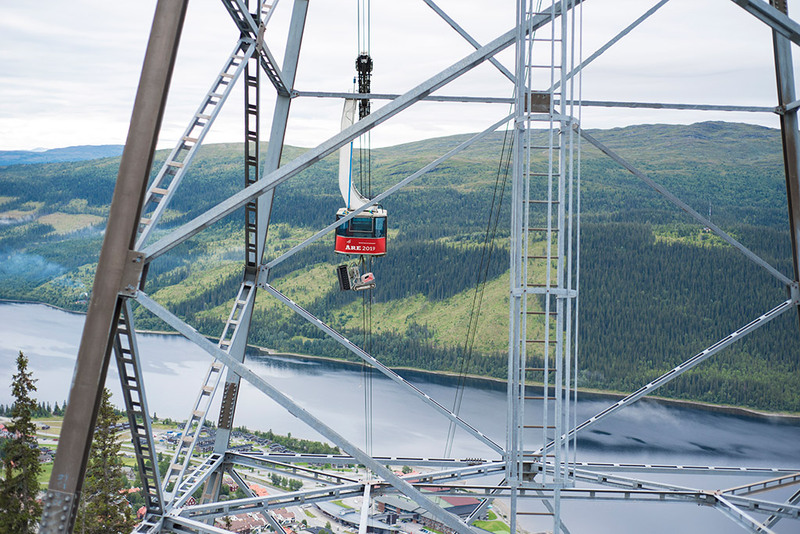 Åre’s ski lift system, which takes skiers and holidaymakers up the side of the 1420 m high Åreskutan mountain, was built in phases starting from the late 1970s and has helped turn the previously small village into one of Sweden’s leading winter sports resorts. The contract to renovate the foundation blocks on the pylons has been awarded to Corvara Industri & Skadeservice, a specialist in repairing damage to industrial installations and a supplier of high-pressure, suction, hydrodemolition and blasting services throughout the Nordic region. 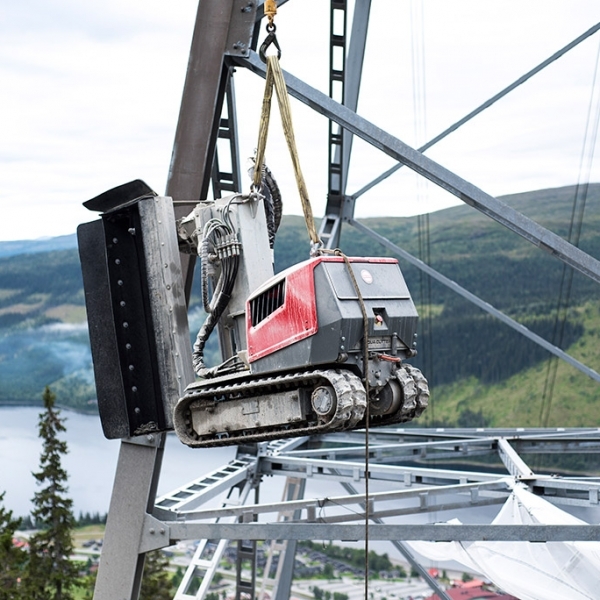 Project supervisor on the Åre ski lift, Mattias Carlsson, says that the company has a long working relationship with Aquajet. 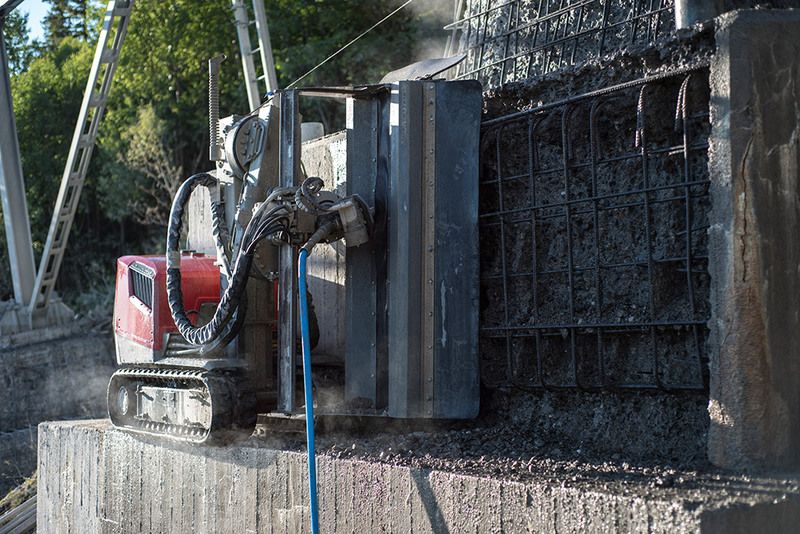 An Aqua Cutter 410A, a remote controlled machine specially designed for applications in confined and inaccessible areas, is being used on the concrete foundation blocks. 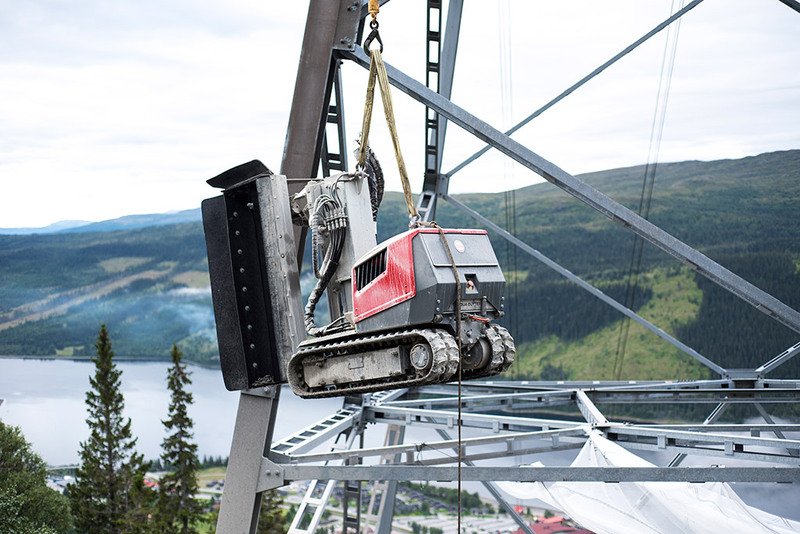 “The robot is so light and compact that we are able to lift it up the side of the mountain on the cableway itself, and then lower it onto the block,” says Mr Carlsson. “Each block is between 3 and 4 m high and there is a ledge, between 700 and 750 mm in width, that the robot can stand on. The bottom part of the foundation measures about 4 x 4 x 1.5 m, while the top part is about 2.5 x 2.5 x 1.2 metres. 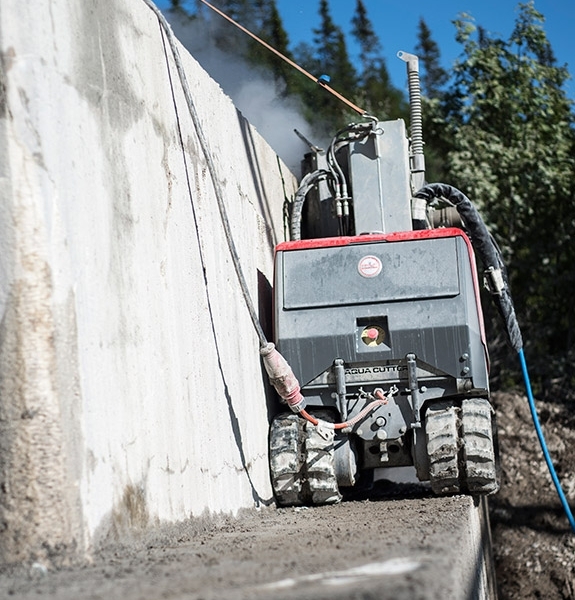 The foundation blocks had aged to the point where Corvara had to use the water cutter jet to remove 200 mm of decayed concrete, so that new concrete could be applied. The entire surface of the top two stages of each foundation has to be removed. 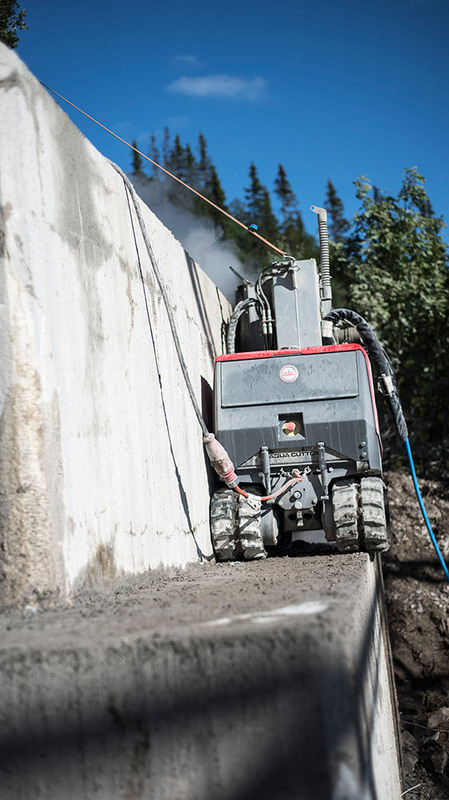 Corvara technicians calculated that the compressive strength of the concrete was about 44 Mpa. 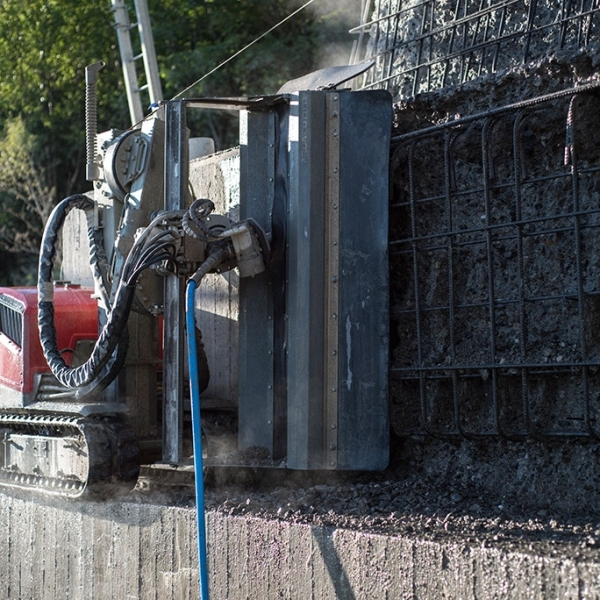 Use of hydrodemolition was in fact written into Corvara’s contract, which covers 12 foundation blocks and runs from 2015 until the end of 2016. Corvara has service centres at 35 locations in Sweden and employs a workforce of around 600.